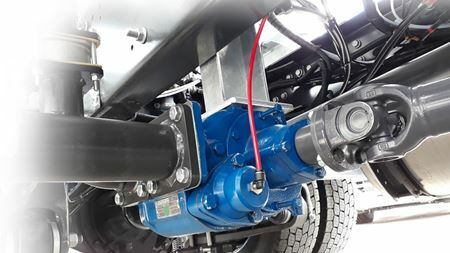 Vehicle-mounted pump is designed for loading and unloading petroleum products. The Sample Pro® Portable Pump is designed to deliver low-flow sampling to sites requiring portable pumps. Al Majal Technical Services (AMTS) is Sulzer's authorized repair partner in Iraq. Gabelli & Co’s 28th Annual Pump, Valve & Water Systems Symposium will take place on 22 February 2018 in New York City. Workdry International Ltd, the holding company of Selwood Ltd, has acquired parts of the water treatment specialist Siltbuster Group. The KSB stand is D010 in Hall 10.2. Pump and valve manufacturer KSB AG is now trading as KSB SE & Co KGaA. Bedford Pumps is supplying 16 vertically mounted submersible canister pumpsets for Thames Water’s Hampton and Kempton Water Treatment Works in the UK. AxFlow France strengthens its service offering with the acquisition of RDC Productions. Xylem Inc announces new pump rental and service business in the Philippines as part of the company’s Southeast Asia expansion plan. Voith Hydro Shanghai to provide equipment for the Henan Tianchi pumped storage plant in Henan Province, China. Simmons Pump LLC and Simflo Pumps Inc merge, creating a new combined company that will operate under the Simflo name and brand. Sulzer completes its acquisition of US solids reduction and removal products provider JWC Environmental LLC. Hidrostal names AxFlow Ltd as a key UK distributor of its screw centrifugal pumps. Grundfos appoints Kim Jensen as Group Senior Vice President and Regional Managing Director of Grundfos Asia Pacific region. Italy’s Interpump Group is acquiring the international assets of Finnish piping systems specialist GS-Hydro Group in a €9 million deal. Sulzer is buying JWC Environmental LLC, the US provider of grinding and solids separation equipment. AxFlow enters Baltic pump market by acquiring Estonia’s Bahr Pump, Latvia’s Pumptechnique and Lithuania’s Flow Technologies.